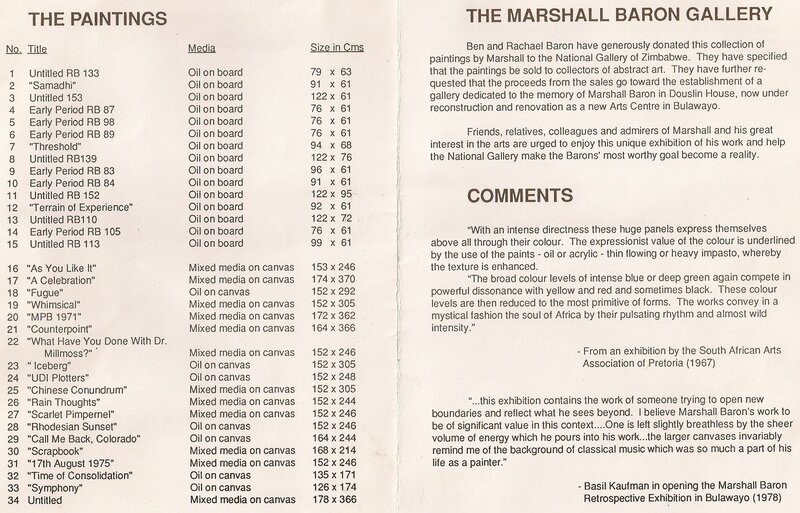 Much endearment about MARSHALL BARON has been stressed in the past yet this individual personality can only be described as a leader in the contemporary modern art in this country. 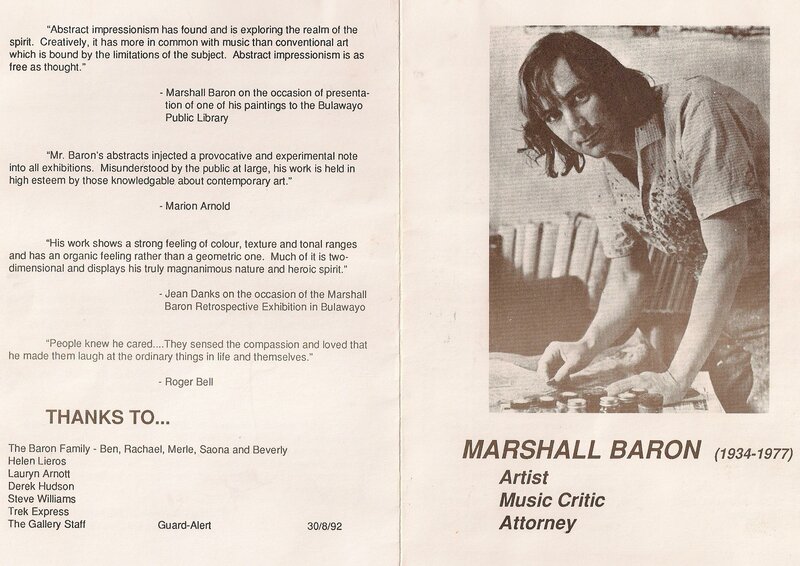 Marshall Baron was a major abstract expressionistic painter. As regards this country he was before his time and can now be fully appreciated, 15 years after his death. 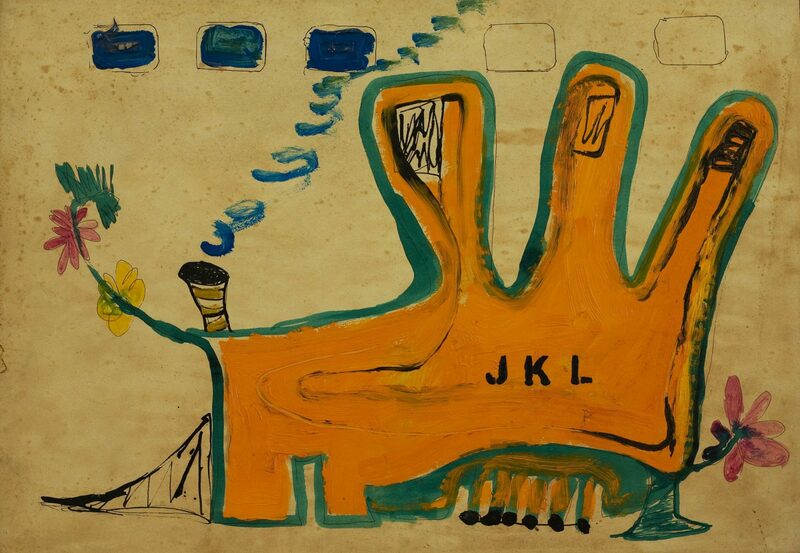 His example and influence was felt by the younger generation that followed to become abstract artists. 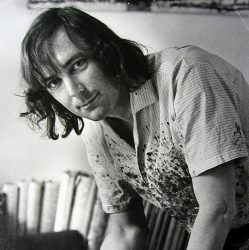 He was bold, courageous, indeed to many outrageous, shocking the conservative public and spectators of the late sixties and early seventies. Marshall’s work here this evening vibrates with passion for music. His spontaneous brush strokes, merging forms, exquisite expression of the sub-conscious, enhances this man’s personal visual comment. Whether the viewer understands, likes or dislikes, the truth cannot be erased. His work continues to express, not only the momentum of the past, but that of the future. Artists such as the late Marshall Baron, Robert Paul and Kingsley Sambo will always remain a part of Zimbabwe’s Art History. We, though, tend to forget the past but his exhibition here this evening is a reminder, and a perfect example that the work of Marshall Baron continues to live the test of time. May I express my sincere gratitude to his parents, Rachel and Ben Baron, for donating these works to the Bulawayo Art Gallery, for the Bulawayo organisers, and to the National Gallery for giving us the opportunity to pay tribute to a great artist.